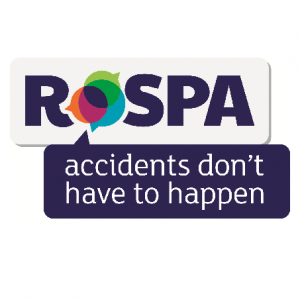 For more than 100 years, the Royal Society for the Prevention of Accidents (RoSPA) has been at the forefront of health and safety in this country. RoSPA dates back to a public meeting in Caxton Hall in 1916 it was decided to elect a London “Safety First” Council to tackle the “alarming increase in traffic accidents, and the direct connection therewith of the restricted street lighting which had been necessitated by the War conditions”. That council would later become the Royal Society for the Prevention of Accidents and early successes include the creation of the British Industrial “Safety First” Association to tackle workplace safety on a national scale. Statistics for 1913 showed that 3,748 death and 476,920 disablement claims had been paid, an increase of 25% on the preceding year. Absorbing demobilised men back into the workforce was proving difficult. 611 people were killed in accidents on the streets of London, a decrease of 8% on the previous year. In 2017/2018, the registered charity trained or assessed 13,133 people across workplace, road, home and leisure safety and there were 3 million views of its website. RoSPA’s vision is drawn from a respect for life and all that it contains – the freedom to enjoy personal choices, health, happiness, wellbeing, relationships, and a huge variety of life-affirming activities. RoSPA also hold its annual ceremony, including the Inspiration Awards, which are sponsored by NEBOSH. 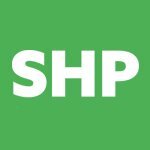 These awards recognise individuals, teams and projects that are a source of inspiration and pride, and are worth shouting about. The categories include the Health and Safety Team of the Year, for which entrants will be asked to lay out the reasons they feel their team is worthy of the accolade. This might include outstanding levels of commitment, standout results, or delivery against difficult targets. Each submission will be considered within the context that the team is operating, commensurate to the challenges they face, and environment worked in. And there is also an Influencer of the Year award, which is presented to an individual who has made the biggest impact in health and safety either at work on in the community in the past 12 months. ROSPA awards and training: The Royal Society for the Prevention of Accidents For almost 100 years, RoSPA has been working behind the scenes to change both legislation and attitudes surrounding accidents.